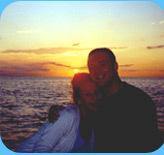 For the past 20 years, we have been offering this trip going to a restaurant in Marco Island. We are now focusing our tours strictly to the Naples Area as popularity and interest has grown for staying in the Naples area and visiting local restaurants! Our Naples Restaurant Cruise offers you a stop at a waterfront restaurant on Naples Bay and then touring Port Royal and Aqualane Shores to see some of the multi-million dollar homes! 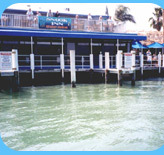 We will stop at either the Dock Restaurant or The Boat House Restaurant for lunch. Then, we will tour the homes on the water. The Captain will wait for you on the boat as you dine. See some of the most expensive real estate in all of Florida! It will be a nice relaxing, slow cruise down the Gordon River and up into the canals of the Port Royal and Aqualane Shores neighborhoods. These homes are worth anywhere from 4 million to 62 million dollars! 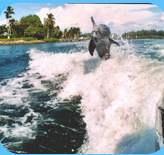 On your Naples cruise, you may see dolphins, manatees, osprey, bald eagles, heron, egrets, and other birds. We will be able to get up fairly close for some great photos! The Captain will be happy to answer any questions you may have about the homes and wildlife. He will also give you some information about local knowledge, history, etc. to be an informative tour. You may have anywhere between two and six passengers in your party. Price listed is for the cruise; it does not include food or beverages at the restaurant. We will schedule your charter for non-peak restaurant times to avoid a long wait. The restaurants open at 11:00 AM, so it is best to try to have you arrive by 11:30 - 11:45. This is a private charter for you and your guest. Bring your camera for some memorable sights and moments! For pricing, please visit our price page. For pictures of our boat, please visit our boat page. 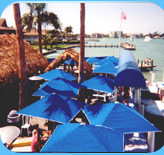 We hope to see you soon on a Naples, Florida Restaurant Cruise!